Valley Oaks Steak Company, LLC, located on 50 Highway just three miles from Powell Gardens and about the same distance from downtown Lone Jack, is currently in the planning phase of expanding their confined animal feeding operation (CAFO). The expansion they have proposed will include housing and processing of cattle and will increase the number of cattle on their 400 acres from nearly 900 to 6,999. Monday, December 10 | 10-3 p.m.
We are encouraging the community to attend the Missouri Clean Water Commission meeting scheduled for Monday, December 10th from 10 am to 3 pm. The Clean Water Commission will convene at 1730 East Elem Street, Jefferson City, MO to address the permit for Valley Oaks. Attendance will support the Administrative Hearing Commission’s recommendation to reverse the permit issued by the Missouri Department of Natural Resources to Valley Oaks, Inc. In October, the AHC determined that the permit issuance was not in compliance with Missouri law and was not protective of water quality near Kansas City’s botanical gardens and the surrounding community. The final permit hearing was August 27-28, 2018 in Jefferson City. The Administrative Hearing Commission has GRANTED our request to stay or suspend the Valley Oaks expansion permit until the appeal is decided. This means that, based on the evidence presented so far, the Commission agrees that the permit was issued improperly and that irreparable harm to waters of the state will occur if the permit is issued as-is. Valley Oaks currently does not have a permit to operate a CAFO beyond 999 cattle. – The Commission has scheduled the final hearing on the permit for August 27, 2018 in Jefferson City. The Missouri Department of Natural Resources approved the Valley Oak’s expansion Permit on June 15, 2018. Powell Gardens has filed for an injunction and will be filing an administrative appeal in response to the Missouri Department of Natural Resource’s issuance of an operating permit to Valley Oaks Steak Company for a confined animal feeding operation (CAFO). You can support opposition to this expansion by BECOMING A MEMBER or make a donation to our operations. Powell Gardens is a 970-acre facility with 100 maintained botanical acres, housing a living museum of plant collections, architecture designed by world-renowned architect E. Fay Jones and offering events, classes, and respite to an average of 100,000 visitors each year. The land, purchased by the Powell Family in 1948, was incorporated as the non-profit cultural landmark it is today, in 1988. The acronym stands for “confined animal feeding operation,” a modern agricultural practice of raising livestock in a confined space, such as “a lot, building or complex.” The animals are not put out to pasture; instead, the cattle, hogs or chickens are fed grain to “finish,” or fatten rapidly for slaughter. How does Missouri law define a CAFO? For cattle, there are four CAFO classifications, based on number: Class 1A is 7,000 head or above; a Class 1B is 3,000 to 6,999; a Class 1C is 1,000-2,999; and a Class II is 300 to 999. Why is a CAFO located in Powell Gardens’ back yard a concern? The CAFO is located three miles west of a botanical natural resource of pristine beauty with 6,000 plant varieties. The gardens and its attractions, including a chapel built by a disciple of Frank Lloyd Wright where 50 weddings are performed each year, and more than 100,000 visitors each year. CAFOs are a concern due to the unknown impacts of human health and wellness and environmental impact, including odor, air quality, ground and surface water contamination, potential pest infestations, wear and tear on rural infrastructure with substantial increases in truck traffic and a decrease in home values. The Valley Oaks CAFO is unprecedented in Missouri because it would be the largest in the state and includes a slaughterhouse, rendering plant and retail sales on a tract of land within the boundaries of an established community, including a regionally significant botanical preserve marking its 30th anniversary and more than 880 homes. Where are most CAFOS located? Most are located far from densely populated communities. Valley Oaks Steak Co., is seeking to serve the Kansas City metro area. The site is located within 15 minutes of Lee’s Summit, part of the Kansas City metro area. What is a “family” farm? A family farm is owned and operated by a local family. Some of the family farms in the Lone Jack area are further classified as Centennial Farms, farmsteads settled 100 years ago, or more, and owned through the generations by the same family. Valley Oaks is a LLC, or limited liability corporation. What is a “factory” farm? A CAFO is referred to as a factory farm because it confines animals outside of their habitat, an effort to streamline processes and maximizing output, often at the expense of the animal’s well-being. Confinement means the cattle do not have access to pasture. Confined animals are often stressed animals. Close quarters also can create conditions for disease to spread, often requiring the use of artificial hormones, steroids and antibiotics to maintain the health of the animals. Huge amounts of waste – including manure, urine, feces, plus blood and carcasses – must be disposed. A facility for holding feces, urine, blood and bedding. The lagoon may be lined or unlined. If not well-managed, lagoons are subject to leakage, groundwater contamination or overflow that may contaminate nearby water sources. Sprayfield: Land that is fertilized with liquid manure, releasing airborne particulates that effect air quality, water quality and human health conditions such as asthma. How much waste does 6,999 cattle produce? Based on the numbers contained in the permit application submitted to Missouri Department of Natural Resources by Valley Oaks Steak Co., our experts have calculated that 6,999 cattle will generate approximately 221 tons of feces, urine and bedding per day or 1,547 tons per week. How does Valley Oaks plan to handle the waste? The waste will be contained in earthen lagoons, applied to the surrounding fields as manure and trucked to undisclosed facilities. Land application means odor-causing particulates will be dispersed in the air. Odor is an unavoidable by-product of such an operation, a Valley Oaks spokesperson has told the media and state officials. Who opposes Valley Oaks Steak Co. expansion? Powell Gardens is actively opposing the expansion, as is the citizen group Lone Jack Neighbors. 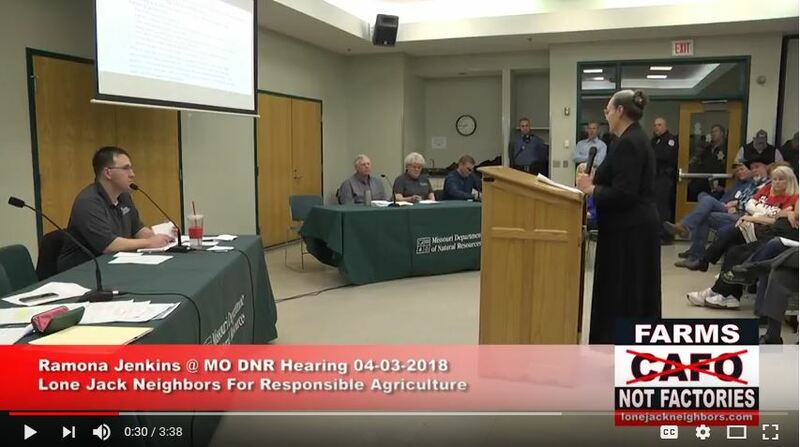 In April, a hearing regarding the permit application drew almost 1,000 letter writers who submitted objections to the DNR and nearly 600 who traveled to Warrensburg, Mo., to voice their concerns. The Kansas City Star editorial board also opposes the expansion and Kansas City chefs who practice farm-to-table dining have severed ties with the company. After hundreds of questions and concerns regarding the expansion permit were submitted, the Missouri Department of Natural Resources held a public hearing, in April 3, 2018, at the Warrensburg Community Center to allow further public comment. The capacity of the room reserved by the Missouri Department of Natural Resources was 200, nearly 600 community members were in attendance. The video below highlights select comments from residents of the Lone Jack Community and supporters of Powell Gardens. Links to media coverage of the hearing are also provided. 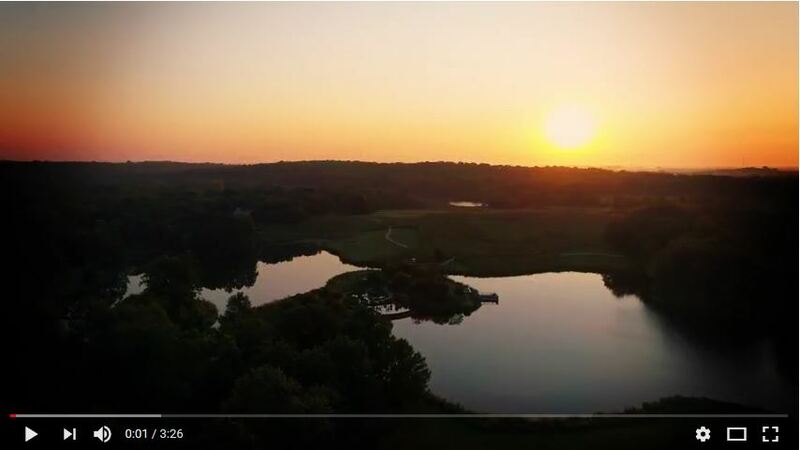 Kansas City Pitch | Can Powell Gardens Fight a CAFO and Win? Kansas City Pitch | Is the state of Missouri really going to let a factory farm move in next to Powell Gardens? We’re about to find out. The Kansas City Star | Do An Expanded Feedlot and Tons of Manure Belong Near Powell Gardens?